Are Irrevocable Trusts Right for You? If you’re considering setting aside your financial resources for your loved ones, it’s time to discuss your many options with a Muskogee estate planning lawyer at the Wirth Law Office. One option to consider is an irrevocable trust, which is a trust that can’t be modified or even changed with your input, because have transferred your rights of ownership. It can be a confusing issue with its many unique tax requirements, that a Muskogee irrevocable trusts attorney can provide clear estate planning advice. 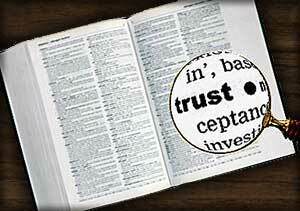 An irrevocable trust can include cash, life insurance, investment plan assets and even a business or company. If you’re not sure another piece of your portfolio could be included, you should take some time to reach out to an irrevocable trusts lawyer at our Muskogee office. Taxes: So why do people select irrevocable trusts to leave their loved ones? The main reason, is for tax and estate considerations. For example, the irrevocable trust is not subject to estate tax at the time of the grantor’s death. The trust’s assets are removed from the grantor’s (you) taxable estate. There are certain circumstance that could generate a gift tax, when this type of estate planning tool is used. That is why we’re here to answer your many questions about this legal option to keep your benefits with your family’s reach. Creditor Claims: Another important note about irrevocable trust is that the assets can therefore be free from any possible creditor claims. The trust maker’s family can benefit from it, which could provide them with income but again those financial resources would outside the reach of creditors. Health care planning: Irrevocable trusts can been a tool as well for health care planning for those that think they may need Medicaid or possible long-term medical care. They are often used as an estate planning tool for grandchildren and for people with disabled children that will need care down the road. Charitable Giving: Finally, a Muskogee irrevocable trusts attorney can provide guidance if you plan to use the trust for charitable estate planning. If you’d like to help others with your financial resources, a irrevocable trust may be an option.